The Allegiance, a 60 foot lump of metal sits immovable in the calm of Scarborough harbour. It is one of only a handful of English trawlers left fishing the North Sea. 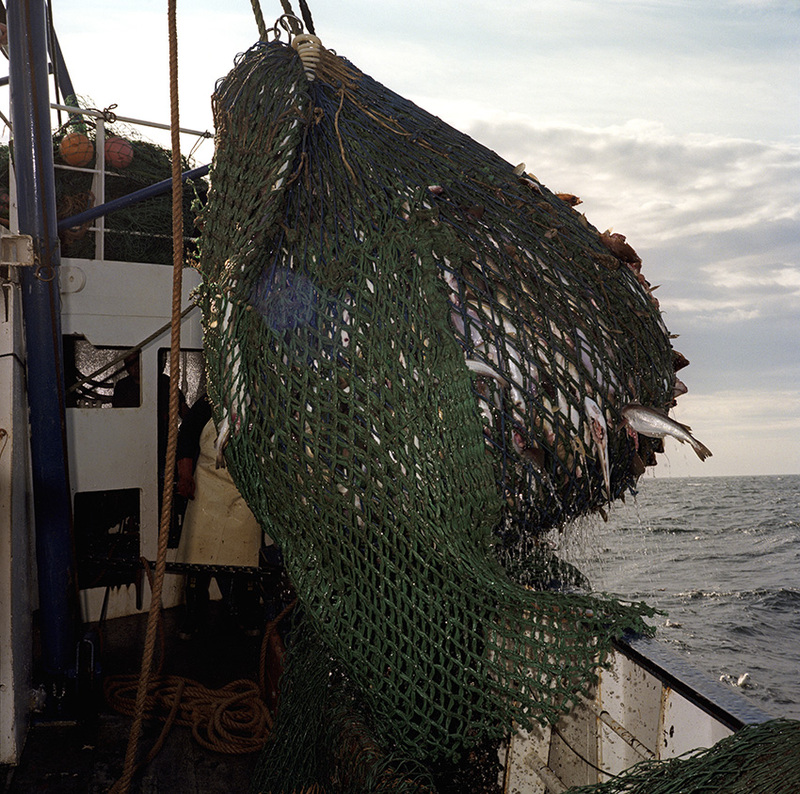 In 1999, Photojournalist Peter Dench spent five days onboard The Allegiance, a 60 foot UK Scarborough-based trawler, fishing the North Sea, with a crew of five. The future has since become extremely bleak for the English trawler men; huge areas of the North Sea have been declared \'off limits\' and fishing quotas have been slashed in an attempt to rescue dwindling North Sea stocks from the point of extinction. These measures have jeopardised the jobs of those in the industry and put dependent towns, like Scarborough, on the brink of ruin. Dench returned to The Allegiance in 2005 to be reunited with the crew and to find out how the decline of the North Sea fishing industry has affected their lives.